A building located at Kudzanai Bus Terminus which housed one of the oldest pubs in the city was last week razed to the ground by fire suspected to have been caused by an electrical fault, destroying property worth thousands of dollars. 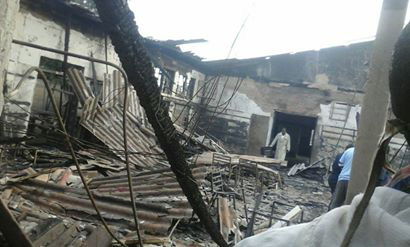 The fire also destroyed Kudzanayi Bar, a bottle store, restaurant and butchery housed within the same structure. A security guard at Kudzanai market, Tichaona Motsi, said he observed the roof of the building burning around 5AM. "I observed fire on the roof of the building before it spread and razed the whole structure to the ground," he said. The fire is believed to have been ignited by an electrical fault in the building. Gweru City Council chief fire officer Emmanuel Musemwa was not available for comment. A number of buildings in the city have been destroyed by fire with council's fire brigade lacking the necessary equipment to deal with the infernos.